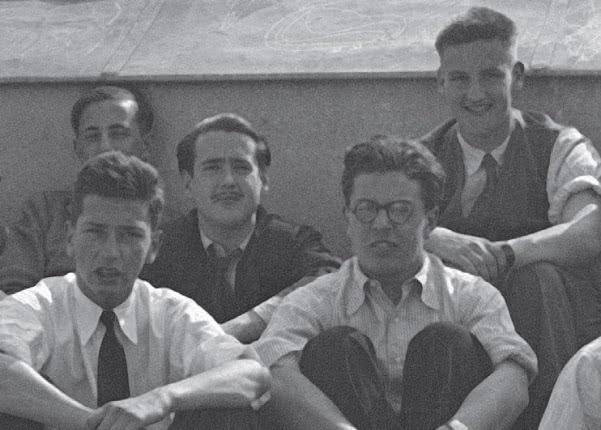 70 years ago, in September 1948, Saint Josemaria organized a gathering for 15 men where he spelled out in detail what the vocation of married members in Opus Dei entails. An article published in "Studia et Documenta," vol. 12. The First Supernumeraries of Opus Dei. 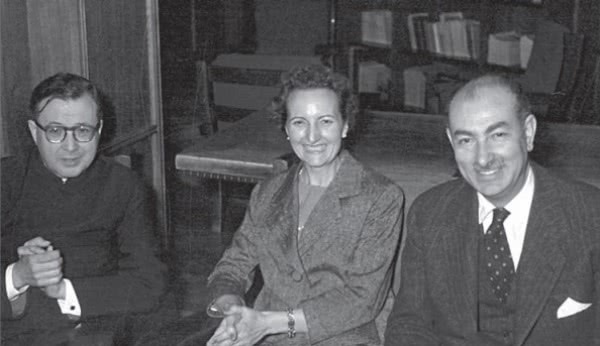 The 1948 Workshop: In 1947, Josemaría Escrivá was able to bring about a long-awaited aspect of the founding of Opus Dei: the admission of married members or those wishing to form a family. The crucial step occurred in September 1948, when − after having obtained recognition from the Holy See in that regard − he organized a gathering in which fifteen people took part. That’s where the first Supernumeraries came from. This article focuses on the events from these days, during which St. Josemaría explained many details of the life of Supernumeraries. This reconstruction was made possible thanks to the notes and testimonies of some of the participants. One of the most important milestones in the history of the work of St Gabriel in Opus Dei, which led to its definitive launch, was the week of study and formation that took place in Molinoviejo (Segovia) from 25 September to 1 October 1948. St Josemaría explained in depth to the fifteen people there what it meant to be a Supernumerary in Opus Dei. My aim is to reconstruct the message that the founder transmitted to them during that week, making use of the documents we have, mainly the written diary that was kept during those days and the personal memories of those who attended. We have limited ourselves to the sources in the General Archive of the Prelature of Opus Dei, which include notes, letters and personal accounts of several of the protagonists in this article that were put into writing after 1975 for the cause of canonisation of Escrivá. St Josemaría spoke to them on twenty-two occasions, and although we do not have the complete transcript of his preaching, there are some notes written at the time by those who were there, especially by Amadeo de Fuenmayor and Tomás Alvira, which enable us to grasp the general gist of what he said. Before starting on the main theme, we will talk about the immediate background to that week, especially about the founder’s work to define what a Supernumerary was, from a spiritual and juridical point of view. Then we will look at how the workshop itself unfolded and St Josemaría’s preaching there. At the end, in the appendix, we include biographical sketches of the attendees. For these short biographical notes, we have used the personal witness accounts, already referred to above, and the obituaries of deceased members that are kept in the General Archive of the Prelature of Opus Dei, as well as other items of public knowledge, excluding other private or public files that would require going beyond the scope of this article. From 1928 on the founder had talked to all sorts of people about holiness in the middle of the world, but it would be another twenty years before he could set out a specific vocational path, recognized by the Church, for married people or others thinking about marrying and forming a family. This was possible thanks to the ecclesiastical approval in 1947, by which married people could join Opus Dei in practice, trying “to live the spirit and apostolate of the institution, without being legally bound to it.” This meant a great step forward because it recognised that married people could become holy in their own state following the spirit of Opus Dei, but it was not enough for St Josemaría; he wanted the Holy See to approve the possibility of full membership for married people in the future, something that was not possible at the time. These Supernumeraries! What great hope I have! Amadeo: with all the work you have been doing, you could make a draft directory for Supernumeraries – which for now would have to be quite rudimentary. And the same for their plans of formation – of six months and of one year would be fine for now – in the same style as the ones for Numeraries I asked for some time back. It would be a good idea to think about preparing the regulations, starting with what the Sacred Congregation has approved, so that we can meet the legal civil requirements when I come back. It would also be good if you prepared three or four talks and went to Valencia, Zaragoza, and Bilbao, etc, to start forming core groups there. Clearly, once the work has started, we can’t let it stop; where it starts, a Numerary should stay there as director, with a Supernumerary as Secretary (we’ll talk later about this: take note), who takes on the material burden of the Delegation. As we can see here, the task entrusted to Amadeo was to describe the figure of a Supernumerary and to explain it to people in the Work who lived in various cities in Spain. Although up to now the apostolic work had involved mainly students and young people, there were already a number of people they knew who met the conditions needed to be Supernumeraries. To Amadeo: I read your notes on Supernumeraries. They don’t seem audacious enough to me as regards their obligations. I’ll give your notes back to you next week with some specific comments. Anyway, I’ll say now that we cannot lose sight of the fact that we are not talking about the inscription of some gentlemen in a particular association, but rather a supernatural vocation to the life of perfection and apostolate. To be a Supernumerary is a great grace from God! The canonical teaching and theology of the time tended to identify complete self-giving with the religious life or something equivalent, open only to celibate people. However, for St Josemaría it was clear that in Opus Dei there was “one and only one vocation.” Without getting into comparisons, Opus Dei offered a novel reality in this sense, although during those years there was no shortage of initiatives in the Church that sought to re-energise the Catholic laity and even to offer them a specific spirituality for marriage. For example, we can mention the Cursillos movement (Short Courses in Christianity), which took shape between the end of August 1948 and the beginning of 1949; or the Focolari movement (founded by Chiara Lubich and approved on a diocesan level in 1947), which the member of Parliament Igino Giordani joined. He was the father of four children, the first married member of the Focolari and considered the cofounder of the movement. Also the Equipes Notre-Dame (Teams of Our Lady), which began towards the end of the thirties under the impulse of Father Henri Caffarel, and which published in 1947 their Letter setting out their conjugal spirituality. As we can see, the founder wanted to emphasise that the vocation to Opus Dei was one of complete self-giving and entailed a real act of obedience. He doesn’t explain the reason behind the rule he mentions here, but we can guess he wanted to prevent people from spreading themselves too thinly or perhaps getting caught up in silly comparisons and envies, or perhaps too the confusion that Opus Dei was just one more association, to which one could dedicate only part of one’s time in between other pious activities, and not a true calling from God that requires a total dedication. So it would be prudent to seek the permission St Josemaría talks about. To Tomás, Víctor and Mariano. May Jesus look after my children! My dear three: it is impossible now to write to you individually, but my first letter of 1948 is for you. I am praying hard for you. You are the seed of thousands and thousands of brothers of yours, who will come sooner than we think. How hard and how well we will have to work for the Kingdom of Jesus Christ! What was the solution that led him to exclaim “they fit!”? It involved explaining that the Supernumeraries “spend part of their time in the service of the institution itself, and find the means for their sanctification and apostolate in their own family duties, and their professional or work-related tasks; (….) they live the same spirit and, insofar as possible, the same customs as the Numerary members; although they will only be entrusted with tasks that are compatible with their own family obligations and civic duties. Right away he began preparing the statutes that would have to be added to the Constitution of 1947, to present it to the Holy See “with the aim that, as well as Numeraries, other single or married members of whatever condition or profession could join and be legally bound to the institution.” In the letter of petittion, Monsignor Escrivá emphasised that this meant including something that had been foreseen since the beginning of the Work: “iam a prima ipsius Instituti delinatione.” On 2 February the petition was submitted, and a month and a half later, on 18 March 1948, the Sacred Congregation, with the signature of the secretary Monsignor Luca Pasetto, and the seal of the under-secretary Arcadio Larraona, approved the statutes that had been presented. Among other preparations, a workshop was organised for a number of people who could be asked to be Supernumeraries, as well as for the six who had already said yes. The fifteen people who took part in the activity at Molinoviejo came from a variety of places. Among those who were living in Madrid were four people from Cantabria (Manuel Peréz, Manuel Sainz de los Terreros, Ángel Santos and Pedro Zarandona); three from Aragón (Tomás Alvira, Rafael Galbe and Mariano Navarro Rubio); one from Galicia (Jesús Fontán); one from Castilla (Víctor García Hoz); one from Andalusia (Hermenegildo Altozano) and one from Mallorca (Juan Caldés). Three more came from Valencia (Antonio Ivars, Carlos Verdú and Silverio Palafox), and one from Bilbao (Emiliano Amann). They also had a variety of professional backgrounds. There were two Navy officials and two others with a military law background; three lawyers and a judge; two civil engineers, a teacher, a doctor, a pharmacist, a chemist and an architect. Looking at their later careers, one can say that they were outstanding professionals who left their mark as Christians on their families and friends. Some of them worked hard to begin social works for human advancement. As mentioned above, in the Appendix we have included a brief biography of each one. Most of them had belonged to Catholic Action or pious associations (as was the case with so many young Catholics at the time) before coming into contact with Opus Dei, and had even held positions of responsibility within them. Five of them had known St Josemaría before the Civil War and had attended activities at the Residence-Academy DYA. Among them were two who had lived as Numeraries for some years and who had lost contact due to the difficult wartime situation. Of the other three, two had attended activities in Ferraz – one as a resident – and a third, Tómas Alvira, had met St Josemaría in Madrid during the war. Three other young professionals had entered into contact with the Work through the apostolic trips to various cities during the post-war period and had even asked to join as Numeraries, only to realize quickly that this was not their path. Encouraged by the founder, they had waited several years for it to be possible to live the same vocation to Opus Dei in a new way. There was also a group who had received spiritual direction from St Josemaría after the war. Some were already married or St Josemaría had helped them discern their vocation to marriage. Of all those there, only three did not know him personally. Years later, Fuenmayor would reflect on his memories. With what great detail did the Father plan everything so that the workshop would prove fruitful! From the tiniest material details, to a whole host of practical hints he gave those with him at the time, on how to explain the more straightforward ascetical themes; for he himself had taken on the task of explaining the more delicate and important topics. Two other Numeraries were with Amadeo de Fuenmayor: Odón Moles and Ignacio Orbegozo. Also present, at least for part of the time, were some of the older members of the Work: the priests Alvaro del Portillo, Pedro Casciaro (who gave one of the talks), and José Luis Múzquiz. The founder received those who attended and was like their host in the house, which was still being set up. Some of the bedrooms had bunk beds and there were no sheets or blankets, so each had to bring their own. The timetable included a meditation and a talk in the morning, a get together after lunch, a time for the “catechism” of the Work to get to know its particular Law and its spirit, and a time for prayer in the late afternoon. After a late afternoon snack there was another “catechism” session, the praying of the Rosary and a time for spiritual reading. After dinner and a get together, the day ended with a brief commentary on the Gospel and an examination of conscience. At the end, he tells them that on the following days he will not be talking to their hearts as he has done today, but coldly, because they are men of faith, and they should consider rationally the ultimate consequences of the truths he will set before them. The Father told them: 1) they have come here for divine reasons, as otherwise it would make no sense to have abandoned so many professional and family etc. concerns; 2) Those who give themselves to God in the world, in their profession and family, are also chosen by Him; it is a “divine vocation,” as the Pope says; 3) They have come to be with God during these days in order to grow in love for Him; 4) A path: the Blessed Virgin, Our Lady. Those present kept silence only for the first day, following the pattern of a day of recollection; the other days were a workshop, combining means of Christian formation with free time, sports, get-togethers, etc. “We should draw close to God as Father with the same naturalness, the same frankness that a child does with its father,” writes Alvira. We all have to die. An old bishop told the Father that every month he meditated on himself becoming a corpse, imagining that they were giving him the last rites, that his arms and legs were losing warmth. And then he would think about what worried him, his projects, the people who didn’t like him, etc. A young workman without faith finally obtained divine grace. He became ill and died shortly afterwards. Addressing this young man, the Father said: I envy you, my son. But our soul enters God’s presence with only our good works, our sacrifices, our good intentions…. The Father talked about how we need to be men of faith. Examples from the Gospel: (1) The blind man, when he knew Christ was passing by, dropped everything and went to find him. That’s how we should be: we should break energetically not our chains – fortunately there aren’t any – but the many silk threads that tie us down and stop us from giving ourselves to our Lord, asking him, like the blind man did, “ut videam”, that we might see those threads. (2) The man with the crippled hand. He too approaches Jesus asking him to cure him. And Christ in turn asks him to move his hand: that’s our cooperation, our action. And the hand is cured at our Lord’s word, restored. (3) The hunchback woman: she could only look at the mud and manure. So many are like that here on earth. But the mere presence of our Lord enables her to stand up straight and look at the sun and stars. We too need to look up. (4) The cursed fig tree. Our Lord, so human, was thirsty, and the fig tree appeared beautiful, with green leaves, sucking life from the earth, but it bore no fruit; and although it was not the season for figs, he curses it and it withers instantly, because we should always be producing fruit. (5) The apostles’ faith in the Guardian Angels. St Paul was freed from heavy chains, and when the servant went in to tell the apostles, who were all together, that Peter was at the door, they say “it must be his Angel.” The Work was founded on the feast of the Guardian Angels. They have been “accomplices” in all that has been done. The Father, in the morning prayer, commented on the words of Jesus: “He who is not with me is against me.” There are two clearly defined fronts. The vision of a battle between three armies; one with black and red banners, enemies of Christ who continue to shout “Crucify him,” who are attacking Europe (Germany, Poland, Austria, Hungary); another of Catholics who are not really such, and who wave grey flags; and then true Christians, with a white flag and the Cross as their standard, who want to remedy the situation and bring about what Psalm II refers to, the “volumus regnare Christum.” It is frightening to look at the map of the world today; but the Redemption is also taking place today. The ever closer invasion of barbarians is horrifying. Women, innocent souls of children, property, all will be brutally trodden on, if Catholics do not learn how to be co-redeemers with Christ in their professional work, in their official positions and in the heart of their families. He went on to speak about what the characteristics of prayer should be: “In the first place, prayer has to be humble: between the publican and the Pharisee, we must be like the former. Secondly, it should be simple, with the simplicity of children, from whom we can learn so much about prayer. Persevering: St Therese would make use of aspirations when she could do nothing else. Let’s be men of prayer, of interior life. Simplicity in prayer. A child that says: long live Jesus, long live Mary, long live my Aunty. A child that knocks at his father’s door with his hand, with his foot, with his whole body. And the father comes out with the idea of telling him off, but on seeing him, gives him a hug. That is how we should be in our prayer with Jesus. We should invoke Mary, Joseph and our Angel so that they come to our aid. We should never leave out the prayer from our day. A head of state has those on guard duty, and some consider it to be an honour while others spend their time thinking about their girlfriend. We should consider this time spent being on guard, in prayer, as an honour, and be there the exact time as planned, although during the half hour we may have looked at our watch forty times. If we have had the intention of praying, we will have gained a lot. In sports people do so many things to win a prize. What about us? Run to win the trophy, says St Paul. Many take part but only one wins the prize. Mortification, a means to make the people around us happy (our great obligation). Our Lady knows a lot about mortification. Let’s try to take away one of the swords that pierced her heart so as to put it in our own. Faced with a challenge, people tend to form three groups: foolish ones who cannot be bothered with the means (someone for example who wants to descend from the top of the post office tower without using the lift or the staircase); others who only use the means that they personally like, that are agreeable to their will; and finally those, who because they feel sick, do not reject any medicine. Moreover, this last attitude is a logical consequence of our self-giving. If we are to serve faithfully, we must make use of the only effective means available: prayer, mortification and work. Not to do so would be a form of cowardice that would weigh on us our whole life. Our Lady, to whom we should ask for help, makes these means pleasant and sweet for us. A general, wide-ranging resolution: Love. Moreover, small and specific daily resolutions. Fulfilment of the plan of life, faithfulness in small things. Our Lord says about the widow who puts a few small coins in the basket: I assure you she has put in more than anyone else. Perseverance, with humility, placing ourselves in our Mother’s arms like children so that she picks us up and carries us. Holiness involves the careful fulfilment of our obligations, because saints are made of flesh and blood, not cardboard. The example of Isidoro (Zorzano); he attained holiness in ordinary work, with extraordinary humility. In the last meditation that day he considered “the weekly chat and the direction that the Work offers its members through the directors and priests;” in other words, everything required to make fruitful use of the spiritual accompaniment that the faithful of Opus Dei benefit from on their path to holiness. You shouldn’t think that this dedication will harm your family life or economic interests in any way at all. When Peter was doing everything he could to fish but without success, Jesus showed him the right place and he brought in an abundant catch of fish without breaking the nets. Although our work in the world will increase, our nets (work, home, etc.) will not break. We have already cited impressions of Amadeo de Fuenmayor, the person who kept the diary, regarding the joyful satisfaction that took hold of those present, as the founder revealed before their eyes the panorama of giving oneself to God as Supernumeraries. We will now look at some of their impressions regarding different aspects of the workshop, which many of them would never forget. One of the formation challenges in this new stage in the history of the Work was to transmit to the Supernumeraries the spirit of filiation and fraternity that are characteristic of the Work, and that the founder considered to be essential. Until that time, there had only been Numerary members, who had already absorbed these aspects, to a greater or lesser extent. It remained to be seen how those who spent less time with one another and who would see the founder less often, would incorporate these spiritual features into their lives. The Father was attentive to everyone and encouraged us, with the good humour that was habitual in him. Everything the Father said sunk in deeply and a great spirit of friendship arose. So now, after many years, this true friendship reminds us, when we see one another, of those days we spent with the Father, receiving doctrine and seeing new paths for our spiritual life that have done us so much good. From the moment he received us (in the sitting room by the oratory) with friendly words (“this is your home; welcome; it’s poor but it’s made of love”), I felt a strong attraction to something special. Later, as the course continued, that attraction grew stronger because in each Mass, in each meditation, you felt as though God’s grace was flowing from him and pouring out in his words. Sanctifying our ordinary work, seeking the fullness of Christian life. Sanctifying the world from within through our interior life and the fulfilment of the ordinary duties of a Christian; being contemplatives, with naturalness, in the midst of our daily tasks; carrying out an apostolate of friendship and confidence that encompasses our whole existence and that raises friendship to the heights of charity; being sowers of peace and turning where we live into bright and cheerful homes. And all this with strictly individual responsibility – without ambitions to represent anyone, without any clerical tendencies – characteristic of a mature laity. Far from a religious vocation but at the service of the Church. For this we would count on, going forward, a suitable doctrinal formation, spiritual direction, the warmth of our brothers and encouragement for personal initiatives. For some, this panorama was a novelty. They had all known, for a greater or lesser amount of time, the founder's ideas, even those who had not known him personally, but perhaps none of them had until then such a complete and clear vision of what the life of a Supernumerary involved. My usual way of thinking, forged from an early age in Catholic Action, was exposed to these ideas, which seemed aggressive novelties to me given the way I had of understanding religion up till then. The Father talked constantly about sanctifying ordinary work, with an insistence that undoubtedly pointed to a key idea; about the apostolate “ad fidem” – about friendship with Protestants and Jews – which seemed a bit strange at that time; about a smiling asceticism together with that other wonderful idea of contemplative life in the middle of the world. All this sounded like a religious renaissance, like a living glory. At a single stroke, one saw everything the same as before, but with a different colour. A vision was created, both demanding and optimistic, that spoke about the vocation to holiness of lay people, whereas everywhere else we were considered as second-class Catholics. Married life especially was seen, in the light of faith, with a new richness, unknown to me and I think to all the others until then. The Work was very young and it was growing rapidly. The phrase “the waters will pass through” was written on a plaque in the pantry, and a little fountain in one of the corridors bore the words “inter medium montium pertransibunt aquae,” the waters will pass right through the mountains.The Work aspired to be an intravenous injection in the bloodstream of society. The whole key was in the “unum neccesarium”: personal holiness, each in his own place and job, striving for perfection, for the glory of God, forgetting about oneself, and without making noise. He took me firmly but gently by the arm. I was literally astonished by the things he knew, not only about myself, but also about “quite unusual” things that interested me a lot and that most people knew nothing about, or misunderstood or feared even to look into: the first origins of life, evolution, biological foundations of sexuality and thought, hygiene, nature-based medicine, etc. In light of the documents and testimonies that we have looked at, we can draw some conclusions. First, the founder succeeded in transmitting to the attendees the fundamental idea of what a Supernumerary in Opus Dei was: that it was a vocation to attain holiness in the world. To say this in 1948 was surprising, even to those who had known St Josemaría previously and who were familiar with the spirit of the Work. Everyone knew that the marital state was not incompatible with a deep Christian life, but to consider it in terms of vocation, with all that this term implied then and now, was something new. This discovery produced great joy and surprise in the group there. They were people who wanted to give themselves to God and several of them had tried to do so or had considered it before, thinking about becoming priests or Numeraries, only to realise that it was not for them. Now, at last, they found their vocational path. From what we know, his message to that group of men, married or planning to form a family, did not differ from what he had been saying to groups of men and women who wished to live this vocation in celibacy. The primacy of the contemplative life, the sanctification of work and the realities in the world, the responsible participation in temporal challenges, serving God and society from one’s own place, with a desire to radiate as much as possible a Christian spirit, without being afraid to occupy important or prestigious posts if God called them to do so, are themes that he always preached on. Thus, to put it in some way, he didn’t have a specific message just for the Supernumeraries. The biographies of the attendees, as can be seen in the appendix, show us a group that was mixed in terms of backgrounds, places of origin and prior knowledge of the Work. At the same time, we can see some common features: they all had a university education or, in the case of two of them, were officers in the Navy. They were all professionals, and several had even managed to become high profile people in the scientific, political, cultural or economic circles of Spain. Also some of them would develop a concern to get involved in social initiatives. As far as their political leanings or affiliations were concerned, the documents we have seen don’t say anything about this, due in no small part to the fact that the Work avoids asking people for their opinions on these matters, in order to respect their freedom. We know that some of them, for example Fontán, were very close to Francisco Franco, and that Navarro Rubio would become a minister in the regime, although he is normally viewed as a Catholic “technocrat,” and that Altozano was a monarchist. We can assume the rest held more or less the ideas that were common among Spanish Catholics of that time, who had lived through the Civil War and who had supported the Nationalist side. Twenty years had passed since the 2nd of October 1928, and the founder had been able to think through, in the light of the foundational charism and his own experiences over these years, a practically definitive vision of the Supernumeraries, which was largely what he transmitted to them during those days and which would be set down in writing, a few months later, in the Instruction for the Work of San Gabriel. From that time on, this part of the Work would start developing in a definitive way: of the 2404 men members and 550 women members in Opus Dei at the beginning of 1950, there were 519 men Supernumeraries and 163 women Supernumeraries. To compile these brief biographical notes, we have used documentation available in the Prelature’s General Archives. This includes testimonies written by several of the protagonists for the cause of canonization of St Josemaría, as well as brief unsigned obituaries written on the death of the people themselves. Given the aim and limits of this article, we have not searched for other primary information in public or private archives, but have used only information in the public domain, which can be found in various publications and web pages. He was born in Baños de la Encina (Jaén) on 23 December 1916. In 1931, he started a Law degree when he was only 15, at the University of Granada. In the years of the Second Spanish Republic, he was president of the Association of Catholic Students of Law and Philosophy in his university. When he completed his degree, still very young, he obtained a job in the juridical branch of the Army. He took possession of this job when the Spanish Civil War ended. Later he taught in the Naval Academy in Marin. In the Navy he achieved the grade of Auditor General. He met St Josemaría in Molinoviejo, at the workshop described in this article. Those who knew him in Opus Dei describe him as a kind and refined man, smiling and balanced, with many friends who he tried to bring closer to God. He and his wife had eight children. He died from cancer in Jerez de la Frontera (Cadiz) on 12 September 1981. He was born in Villanueva de Gallego (Saragossa) on 17 January 1906. Some biographies of his life are already available. He studied Chemistry at the University of Saragossa. His professional life was spent mostly teaching in secondary schools. He worked in several schools, in some of them as Headmaster. At the end of the Spanish Civil War he started teaching at the Instituto Ramiro de Maeztu in Madrid, where he secured a permanent position in 1941. The “Ramiro” as it is known in Madrid, was a centre known for its excellence, where Alvira was part of a prestigious faculty. He was also head teacher at the Colegio de Huerfanos of the Civil Guard. He took part in the creation of Fomento de Centros de Enseñanza, a foundation that has set up many schools in Spain inspired by Christian principles, which started in 1963. Victor Garcia Hoz and Angel Santos were also involved in this effort. From 1973 to 1976 he was assistant director of the Experimental Centre of the Institute of Education at the University of Madrid, and later director of the University School of Fomento de Centros de Enseñanza. His first contact with the founder of Opus Dei was in Madrid, in the middle of the Spanish Civil War, on 31 August 1937. A few days later, Alvira received a surprising invitation in those circumstances: to attend a three-day long spiritual retreat, preached by the founder of Opus Dei, with four other people. Because of the religious persecution then underway, a great risk was involved in taking part, and they had to meet in different houses to have the various meditations, so as not to raise suspicions. When St Josemaría decided to escape to the nationalist zone in order to carry out his priestly ministry in freedom, Alvira joined the group of fugitives. Alvira married Francisca Dominguez (Paquita) soon after the end of the war, in June 1939. He continued to be in contact with St Josemaría in the years that followed. In 1948 he asked to be admitted in Opus Dei as a Supernumerary. His wife also became one of the first women Supernumeraries. They had nine children. He died on 7 May 1992. The process of beatification for him and his wife has been opened. He was born in Bilbao in 1919. He was the son of a well-known architect, Calixto Amann (1882 to 1942). When he finished school at the young age of 15, he went to Madrid to prepare for entry into Architecture school and he found lodging in DYA, a residence that had been set up in 1934 as an initiative of the founder of Opus Dei. The letters that he wrote to his parents from the residence, and which have been published in this magazine, reflect the daily life of the first members of the work and of its founder, who carried out a wide range of activities of Christian formation. For a time, due to the outbreak of the civil war, he was not able to continue to receive the formation and spiritual guidance in DYA, but when Josemaría managed to escape from the religious persecution and set himself up in Burgos, he contacted him again and experienced his fatherly concern, both in person and by letter. One of Amann’s letters is the basis for points 106 and 977 of The Way. As an architect in those developmental years, Emiliano carried on his father's line of work, which was to design social housing that would reduce costs and make better use of space. He also worked as a diocesan architect between 1956 and 1960, completing various projects for Viviendas de Vizcaya, for Obra Sindical del Hogar, for the Banco Popular and for Telefónica. In addition, he was also involved in buildings that would be used for apostolic activities related to Opus Dei, like the retreat house Isalabe. He died on December 13, 1980. He was born in Lluchmayor (Mallorca) on January 1, 1921. The family had to move to Madrid, where Juan went to secondary school, obtaining an official prize from the state for his outstanding performance in public examinations. After the civil war he read Law at Salamanca, finishing his degree in 1944. A year later he obtained a doctorate in Madrid and successfully applied for the post of Legal Officer in the Social Institute of the Navy in 1946. That same year, he founded in Madrid the University Academy, San Raimundo de Peñafort, aimed at workers from various sectors, so that they could study for a law degree in the evenings. The academy came to be a model center of its kind and it inspired the creation of other similar centers in Spain. By 1956 hundreds of workers had finished their law degree. Together with Leonardo Prieto Castro, university professor of procedural law, he also founded the School of Legal Practice in Madrid University. Almost fifty years later, there would be seventy-four schools of this kind in Spain. He married Consuelo Llopis, also a Supernumerary. They had ten children. Throughout his professional career he held various positions of responsibility related to economics and law: in the General Council of Lawyers, the Spanish Law Society, the Confederation of Organizations for Social Provision in Spain, etc. From 1958 he also worked in banking, first in the Banco Popular and then as director of the Institute of Credit of the Building Societies (Cajas de Ahorro), where he remembered spending his four happiest professional years. Traditionally the building societies supported social and cultural works, and Caldés promoted this with the creation of homes for older people, schools etc. In 1972 the Credit Institute was absorbed by the Bank of Spain, where Caldés became the General Director, a post he would hold until 1984. After that he returned to law practice. He died on May 30, 2008. He was born on April 26, 1901, in Vilagarcía de Arousa (Galicia, in the north west of Spain). He was in the Navy, where he reached the rank of Vice Admiral. As a boy living in Ferrol, he met a friend of his brother’s. His brother’s name was John. His brother’s friend was older than he was. This friend used to come and study at their home; his name was Francisco Franco. They became close friends and this was the reason that the Spanish dictator and General named him as his assistant, in February 1939. Fontán started navy school in 1917 and later obtained the qualifications of airship pilot and of naval observer, as well as the diploma of Military Staff Officer. During the civil war he was arrested in Madrid in September 1936, and spent two months in the Modelo prison. On release he went over to the nationalist zone in June, 1937. He was then posted to several ships and worked in the General Army Barracks in Salamanca. In 1942 he met José María González Barredo, one of the first members of Opus Dei, a professor at the University of Zaragoza, who talked to him about St Josemaría. The next day Jesús and St Josemaría were introduced. Jesús was bowled over by St Josemaría’s kindness. At later meetings, Jesús witnessed the confidence with which the founder talked about the future development of the Work. During those years Jesús Fontán also had contact with Álvaro del Portillo. After holding positions of great responsibility, he resigned from the Navy in 1967, but not from his contact with the sea. That year he was appointed president of the Instituto Social de la Marina, an organization that offers health assistance and social provision for those who work at sea, as well as other types of help for people in this tough line of work and their families. He stood down from this post in 1976 at the age of 75. He died August 26, 1980, at his home in Cabañas (La Coruña, also in Galicia). Many of his navy colleagues, whom he had tried to bring closer to God during his life as a Supernumerary, were present at his funeral. He was born in Zaragoza in 1919. There he read Law at university. In 1937, during the civil war, sailing on the cruise liner Canarias, he reached Mallorca, where he met José Orlandis, with whom he would always maintain a close friendship. He was Lieutenant Auditor of the Reserve List of the Judicial Corps of the Navy. His came in contact with Opus Dei in Zaragoza, during regular trips that members of Opus Dei made to that city. In the academic year 1942-43 he moved to Madrid, to prepare for examinations for entry into the judiciary. There he used to visit Saint Josemaría and José Luis Múzquiz at the house on Lagasca Street. Galbe began his career in the judiciary in 1947 and was sent to work at the local law court in Jaca. In 1948 San Josemaría thought that he could be a Supernumerary. Rafael was excited by this idea, as were the others on that workshop. Later he became a Numerary. In 1949 he was posted by the Spanish government to what was then known as the Gulf of Guinea. In this Spanish colony he was known for his apostolic activity with the younger Europeans, who found it hard to live a Christian life in that environment, morally looser than Spain at the time. In April 1953, he was appointed judge in the first hearing and appeal courts of Santa Isabel and president of the colonial court and high indigenous court. In May 1960, he was promoted to magistrate, continuing as head of the Justice Services of Guinea, as it was then called. In 1966 he was president of the Equatorial Guinean Law Courts. On October 9, 1968, he stepped down from the post of Deputy General Commissioner of Equatorial Guinea, the day on which Spain granted independence to the new country. Those who had dealings with him there knew him as an honest man of great faith, with high moral principles and a strong character. In the mid-fifties he formally left Opus Dei; he always maintained a reputation as a believer, a thoughtful person and above all, as a man of service. He remained single his entire life. After returning to Spain, he became president of the court of administrative disputes in Zaragoza. He died in Zaragoza in 2012. He was born in Campillo de Aranda (Burgos) in 1911. 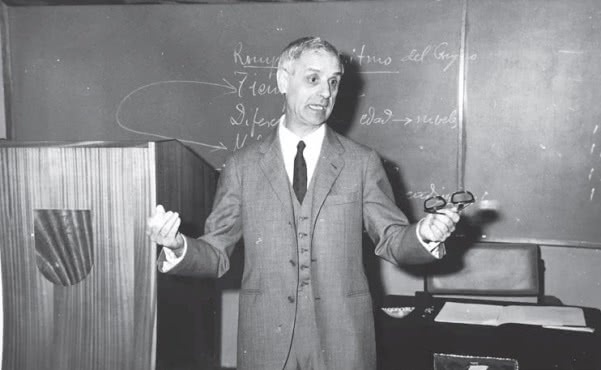 In 1940 he obtained a doctorate in Pedagogy and in 1944 he became a professor of experimental and differentiational pedagogy in the faculty of Philosophy and Arts at Madrid University. He married in August 1939, shortly after then end of the civil war. Together with his wife, Nieves Rosales y Laso de la Vega, he was looking for a spiritual director when he met the founder of Opus Dei. Casimiro Morcillo, the Vicar General of the diocese of Madrid, was the person who put them in touch. They saw each other regularly until 1946. From these talks of spiritual direction, Víctor remembered a sentence that at the time "astonished him": “God calls you to paths of contemplation.” In those years it was not easily understood that you could say this to a married man, with a daughter and expecting more children (which in fact came), working to support his family, as though it was something he had to practice. He and his wife, who would also become a Supernumerary, had eight children. Around 1942 St Josemaría talked to him about the possibility of responding to “a special, divine vocation to seek holiness in the middle of the world. He suggested that I, together with another person, Tomás Alvira, began to live the customs and norms of the Work without formally belonging to it. I was overjoyed by this idea. With a patience that never ceased to amaze me, St Josemaría gave a circle to Supernumeraries, even though they did not really exist yet, which Tomás and I attended." The academic and professional biography of Víctor is very broad. He was director of the Institute of Pedagogy of the High Council of Scientific Research, until 1981; a permanent member of the Royal Academy of Moral and Political Sciences, and of scientific societies; pedagogical consultant – commissioned by Unesco – for various countries. He obtained several honorary doctorates, and numerous national and international prizes. With hundreds of publications, perhaps his most important work is the monumental treatise on personalised education, in thirty-three volumes, with the collaboration of European and American teachers, that he finished in 1997 at the age of 86. Up to just a few days before his death, he would arrive punctually for work at Fomento Centros de Enseñanza, the company behind many schools with a Christian grounding, in whose creation and promotion Tomás Alvira and Ángel Santos enthusiastically participated. He died in Madrid on February 18, 1998. Professionally he worked for the Tram and Railway Company of Valencia as General Secretary. In 1957, motivated by his concern for the improvement of the professional world, he founded a school for the formation of top executives, a pioneering initiative in Valencia. He wrote various books related to the formation of managers and to company management. He organised discussion groups with people as a way of broadening his circle of friends. A good number of Supernumeraries from Valencia say they are sure that they discovered their vocation thanks to him. In 1982 he founded the Escuela Tertulia (discussion group school), where small groups of businessmen would go every week to talk about professional, social, cultural and humanistic topics. In the last stage of his life he suffered from Alzheimer for ten years. He died on April 25, 1997. He was born in Burbáguena (Teruel) on November 14, 1913. He spent his childhood and early youth in Daroca (Zaragoza). He studied Law in the University of Zaragoza. As a republican in his thinking, and opposed as much to the left-wing parties as to those on the right, he found in Catholic Action a good place for his activity. When the Spanish Civil War came to an end, he graduated from the army as Provisional Captain of the Regulars. He prepared for a doctorate in law and joined the Academy of the Military Judicial Corps. He was living in Madrid and was a member of the High Council of the young men in Catholic Action, when in May or June 1940 he met St Josemaría, thanks to Alberto Ullastres, president of the Diocesan Council of Madrid and a colleague of his, also doing a doctorate in law. Navarro was in the process of looking for a spiritual director that would resolve his doubts about a possible vocation to the priesthood. To begin with, St Josemaría encouraged him in that direction, but a few days later he advised him to wait and to think whether God was not calling him to marriage. A series of events over the following days made him see that the founder of the Work was right. He married María Dolores Serrés Sena, with whom he had eleven children. Navarro continued to talk with St Josemaría, as his affection for the Work grew. In 1947, while he was in Rome, he had an interview with St Josemaría, together with Víctor García Hoz. St Josemaría told him that the moment had arrived in which married people could now join the Work as Supernumeraries. When they asked him if he wanted to be one, he replied resolutely that he did. St Josemaría told him to ask García Hoz to teach him the Preces, and that day they prayed the Preces together in the hotel. Illness caused him to be housebound in his final years. He died on November 3, 2001. He was born in Granada in 1921. When he was studying Medicine in Valencia, he started to frequent the residence in Samaniego Street, encouraged to do so by Father Eladio España, a priest and a good friend of St Josemaría. In 1940 he met the founder in Valencia. Pedro Casciaro invited him to give Biology classes in the residence to those who were preparing for public exams. In 1942 he was doing a retreat in Madrid, which St Josemaría was giving, when he joined Opus Dei, but he lost contact straightaway as he volunteered for the Blue Division, a group of young Spanish men who fought in Russia. He retuned a year and a half later, disappointed by what he had experienced and transferred his academic studies to Salamanca University. 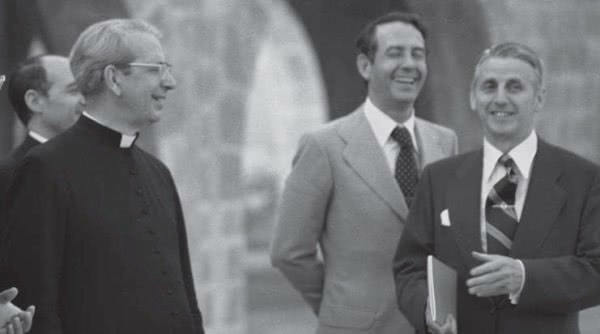 He maintained sporadic contact with Opus Dei and St Josemaría until one day, following a suggestion from his bother Emilio, he asked Pedro Casciaro “what is all this about ‘supernumeraries’.” Casciaro showed surprise but he replied with a smile: “Nothing yet, but there will be. Keep striving to be good and pray about it.” After a time, they invited him to go to Molinoviejo, to the workshop we’ve been talking about, where he found out what he had wanted to know, and he became a member of the Work. In 1950 he married María Dolores Bogdanovitch. They had five children and from the very start they had wanted to create a Christian home for their family. He was an active scientist, exponent of the neo-Hippocratic current of natural Spanish medicine. He obtained doctorates in hydrology, psychiatry, endocrinology, and in the history of medicine, supervised by prestigious academics. He taught various courses at the Complutense University in Madrid. In 1947 he created Binomial Notebooks, a magazine that aimed to promote the study of natural medicine, hygiene, diet, vegetarianism, natural healing methods and the tendency of organisms to cure themselves, in a context of humanistic medicine. He was academic in residence of the Royal National Academy of Medicine (1980) and founder of the Spanish Association of Doctors of Natural Medicine (1981), and its president until 1997. He died on March 23, 2015, at the age of 93. He was born in Herrera de Ibio (Cantabria) on November 8, 1905. After secondary school in Santander, he moved to Madrid in 1924 to prepare for entry into university to study Civil Engineering. There, his friend Manuel Sainz de los Terreros, also from Cantabria, invited him to some activities of Christian formation that the founder of Opus Dei was organising. He met St Josemaría on March 18, 1934, during a retreat in a residence in Manuel Silvela Street that belonged to the Redemptorists. A little later he asked to join Opus Dei. For some years he had been helping out in activities that the St Vincent de Paul Society organised in the parish of St Ramón, in the area of Puente de Vallecas in Madrid. One of those taking part in these activities was a first-year Civil Engineering student, Álvaro del Portillo. One day, when everyone was animatedly talking about Josemaría Escrivá, Pérez Sánchez decided to introduce him to Del Portillo, and this took place a few days later in the DYA residence. Blessed Álvaro was forever especially grateful to Manuel Pérez Sánchez for having introduced him to St Josemaría. The Civil War took him by surprise in Santander. When St Josemaría was able to get to Burgos, they made contact again. From time to time, Pérez Sánchez was able to make a very necessary loan to help the founder and those with him get over some financial difficulties. Shortly before the Civil War, Pérez Sánchez had stopped being a Numerary, but St Josemaría thought of him straightaway as a possible Supernumerary, and that is what came to pass during those days at Molinoviejo. In 1962, still single, he went from being a Supernumerary to being an Associate. He lived at his home in Madrid until 1997. He held various posts in the Ministry of Works. In 1965 he was appointed director of the Administrative Commission of Ports. After his retirement in 1975, he worked on the distribution of spiritual books and on administrative tasks in his centre of the Work, until he was over 90 years old. He carried on helping in the St Vincent de Paul Society his whole life, where he was able to do apostolate with his friends. He died in Herrera de Ibio on March 29, 2002, at the age of 96. He was born in Solares (Cantabria, north coast of Spain) in 1907. He was a friend of Manuel Perez Sanchez, as already mentioned, and also studied Civil Engineering. He had met St Josemaría in June 1933. He had originally heard of the founder while attending to some poor families in Madrid, in a charitable enterprise. In their first meeting, the young engineer talked about his uncertainty about a possible call to give himself to God. After praying and thinking about it, some days later, he decided to collaborate with his whole soul in the work that Escrivá was carrying out. He helped in the setting up of the DYA Academy and Residence and, being a bit older than the university students who used to come to activities, he run the So.Co.In, which was the first attempt of St Josemaría to start the work of St Gabriel. Later, with Tomas Alvira and others, he accompanied Escrivá in the crossing of the Pyrenees during the Spanish Civil War. In 1938 he lost contact with the Work, although he always had great affection and veneration for St Josemaría. 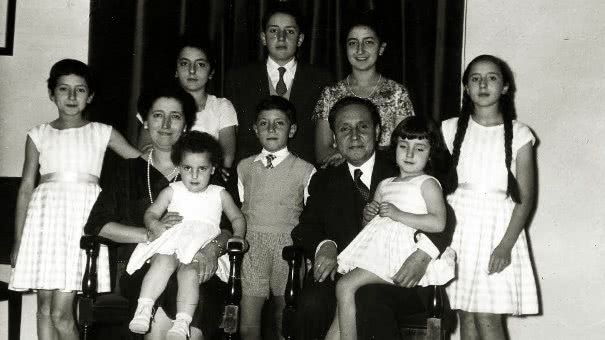 He married Carmen Goñi and they had seven children. He moved to Pamplona for work reasons. When the possibility arose of reconnecting with some old friends from the times of Ferraz, St Josemaría thought about Sainz de los Terreros, who agreed to take part in the workshop in Molinoviejo, although his new contact with the Work was soon interrupted again. He died in Pamplona on 18 June 1995. He was born in Reinosa (Cantabria, north coast of Spain) in 1912. When he was 22, he graduated in Pharmacy in the University of Madrid and later did further studies in London and Paris. He met St Josemaría in September 1935, through Miguel Dean, a friend who would later also become a Supernumerary. He was one of the people who participated in the activities of SoCoIn. During the Civil War, Isidoro Zorzano made it possible for him to receive Holy Communion at times, and on some occasions a priest celebrated a clandestine Mass in his house. But, as many other Catholics, Santos ended up being arrested and put in prison. After the Civil War he continued taking part in activities of Christian formation in Opus Dei, with St Josemaría as his spiritual director. As Santos got to know Opus Dei better, he kept thinking about a possible call from God, but remembered that the founder had talked to him about his vocation to marriage: “a wonderful vocation,” the Father had said, “which I bless with both hands.” Escrivá himself officiated at his wedding on December 4, 1941, to Maria del Carmen Diaz, who would also become a Supernumerary. They had four children. Making it compatible with his work at the university, he studied for a second degree, in Medicine, in Salamanca, and followed it with a doctorate in Madrid. Through his academic and research work he became one of the leaders in Biochemistry in Spain. In 1955 he was appointed president of the National Council of Biochemistry. He was one of the founders of Spanish Society of Biochemistry and president of the Royal National Academy of Pharmacy, as well as member of the Royal National Academy of Medicine. He received five Honorary Doctorates and other prizes for his academic and scientific work. He died on April 23, 2005, aged 92. He was born in Paterna (Valencia) in 1914. He studied Law in the university of Valencia. Verdú himself discerned during those days, with the help of St Josemaría, that his “way” involved seeking holiness within marriage. He would not see the founder again until the workshop in Molinoviejo, where he had been invited by his old friend Angel Lopez-Amo, following a suggestion of St Josemaría. After the workshop, already as a Supernumerary, he met St Josemaría again in Valencia, in April 1949. On that occasion he was with three other friends who, soon after, also asked for the admission as Supernumeraries. He married Maria Sancho and they had four children. He practiced Law in Valencia and Gandía, a nearby town. He also occupied some positions in public life in Valncia: he was a member of Valencia’s local parliament, lieutenant of the mayor of Valencia, and director of the Provincial Hospital. He continued his contact with the San Juan de Ribera students residence and was a member of the Patrons’ Committee, as well as president of the Alumni Association. He died on July 24, 1991, in Valencia, after three years of a serious illness. He was born in Castro Urdiales (Cantabria) on 22 August 1922. He was the youngest of twelve children. In 1941 he started Military Navy School. In June 1944 he was diagnosed with tuberculosis. During his convalescence, two sisters of his who were nuns (Poor Clares) in the monastery of Cantapiedra (Salamanca), recommended the book The Way to him. Wanting to meet the author, Zarandona tried to get in touch with St Josemaría and they saw each other on 1 December 1945 in Madrid. The founder took an interest in his illness and, among other things, advised him to seek the intercession of Isidoro Zorzano. When he asked about Opus Dei, St Josemaría advised him to be patient and suggested that for now he should go to the rector of the parish of Buen Suceso for spiritual guidance. The rector was Monsignor José María Bulart, a good friend of St Josemaría. Almost fully recovered, he started to attend means of Christian formation in the university residence, Moncloa, in October 1946. In January 1947 he managed to get a place at the Navy School to finish his studies. In June that year he was promoted to second lieutenant and was posted to the Central Navy Judicial offices in Madrid, where he got back in contact with Opus Dei. Having asked to join as a Supernumerary in 1948, and after the days spent in Molinoviejo, he started to study Economics at the Central University in Madrid, making it compatible with his job. In November 1950, when on a military pilgrimage to Rome, he met St Josemaría again. Shortly afterwards, he asked to join as an Associate member and a year later he became a Numerary. In 1962, after being promoted to lieutenant commander, he asked for leave from the Navy so as to work full time on internal tasks in the Work. From 1962 to 1964 he lived and worked in Seville, as a member of the Council of the Delegation of Opus Dei in that city. 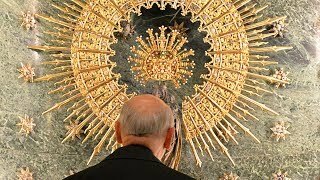 In 1964 he returned to Madrid to work on the Regional Commission of Opus Dei in Spain, first as an assistant and later, from 1966, as the Administrator. In 1976 he moved to Torreciudad to become president of the Patrons Committee of the shrine, where he worked on its finances and publicity, as well as on the promotion of educational and social projects in the area. In 1992, when he returned to Madrid, he worked on supporting various apostolic initiatives of Opus Dei. In addition, he worked on promoting the foundation Ana María de la Lama y Salvarrey, which awards grants to young students in Cantabria, as well as assisting other social projects. He died on 21 May 2009, in Madrid.